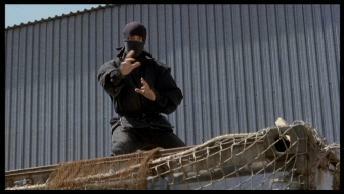 In the series' third installment, David Bradley takes over from Michael Dudikoff as the "American Ninja". 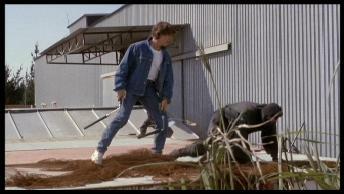 Unfortunately, the series doesn't really get better by that. 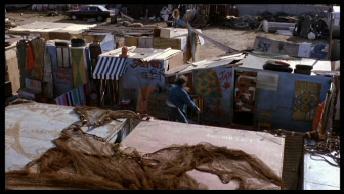 Fortunately, Steve James is still there as Curtis Jackson, providing several catch phrases. 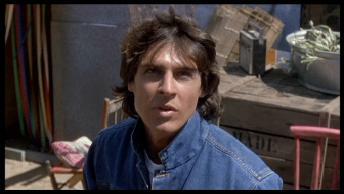 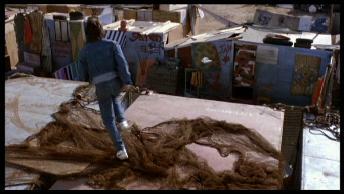 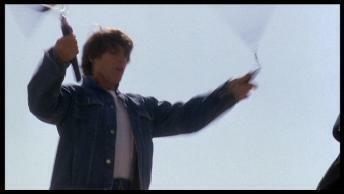 For the video release in Great Britain, this part (as every one of the series') was relieved of scenes depicting nunchakus and throwing stars. 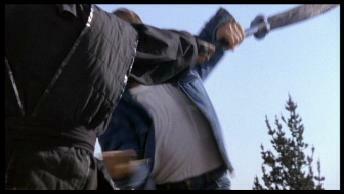 The later DVD release is uncensored. 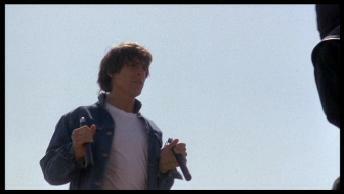 Special Thanks to Il Gobbo for providing the uncut version! 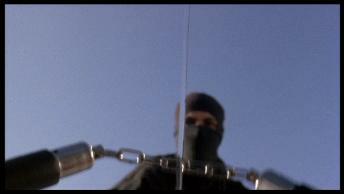 Cut Version = 84:47 Min. 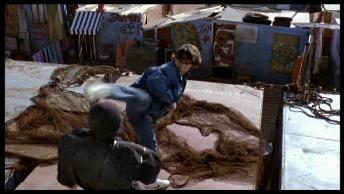 Uncut Version = 86:08 Min. 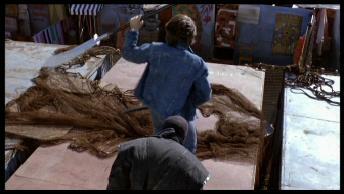 00:00 The MGM Logo is contained in the DVD version's beginning. 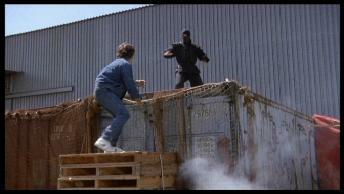 26:05 Sean discovers a ninja on the roof and climbs up. 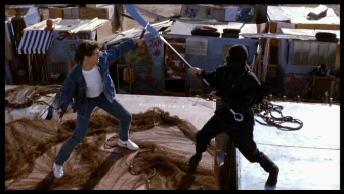 The ninja gets out two nunchakus and attacks Sean. 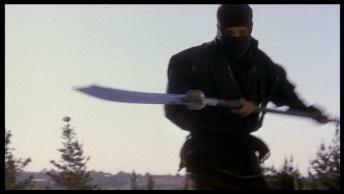 He manages to wrench the weapons from his opponent and whirls around with the fighting sticks. 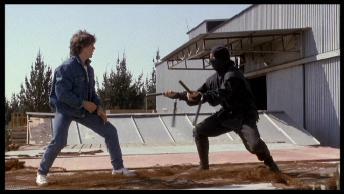 26:29Sean takes out the ninja with the nunchakus. 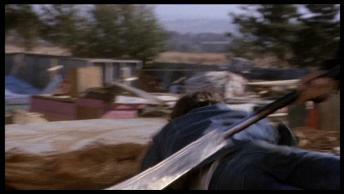 Another enemy with some sort of spear attacks. 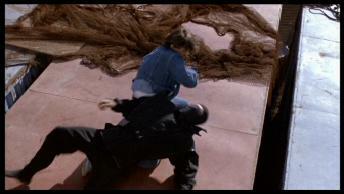 Therefore, in the UK version, a scene takes place sowing Dexter fight with a paddle agains a ninja. 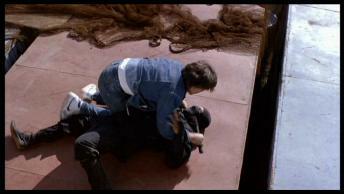 This scene is a little later in the uncut version. 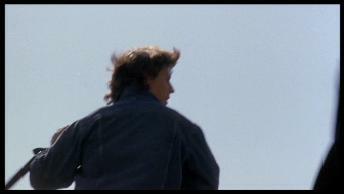 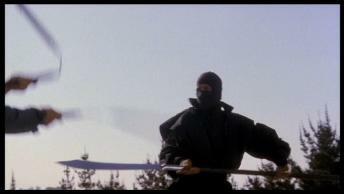 27:05 Now, the uncut version features the scene that was shown earlier in the UK version. 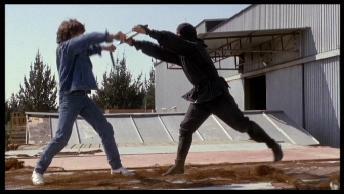 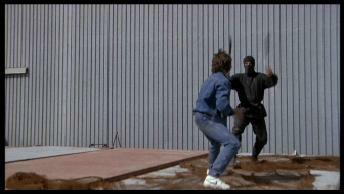 After that, further fighting scenes between Sean and the ninja take place. 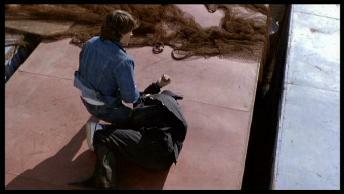 The latter one can get his opponent to fall and attacks him with his spear. 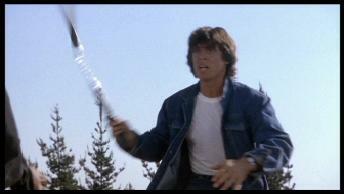 But Sean can disarm him using the nunchakus. 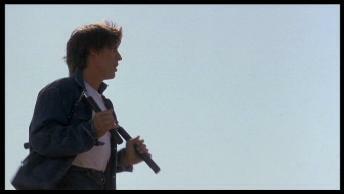 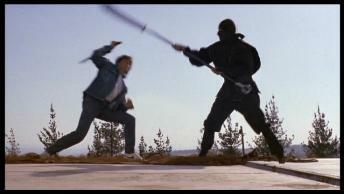 27:26 Sean gets the ninja to fall and strangles him with a nunchaku. 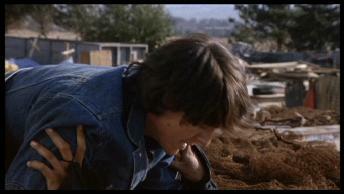 He asks him where Izumo was. 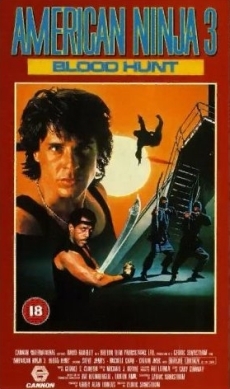 But because the guy doesn't answer him, Sean hits him in the stomach with the weapons, gets up, throws the nunchaku away and jumps off the roof. 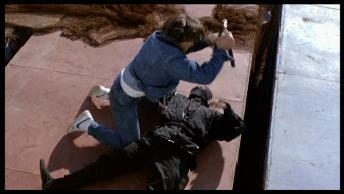 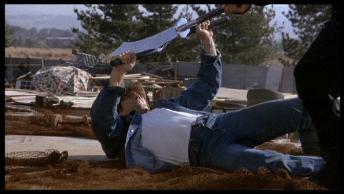 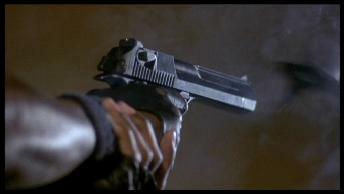 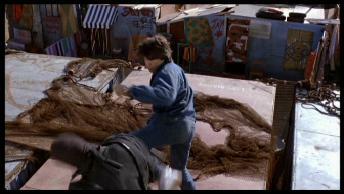 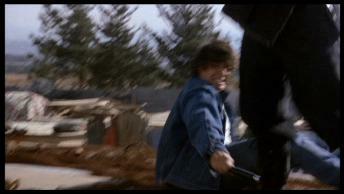 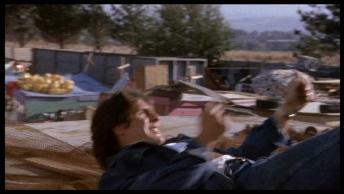 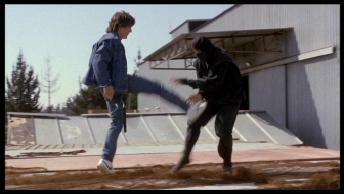 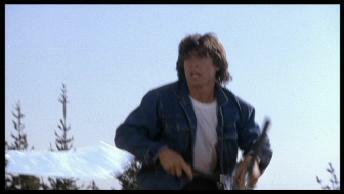 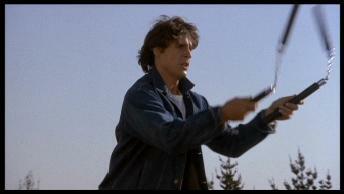 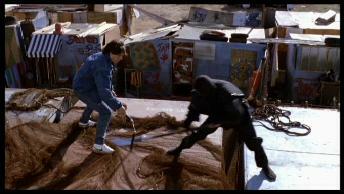 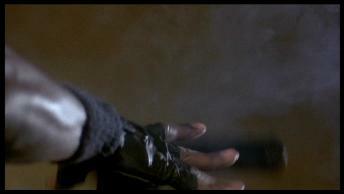 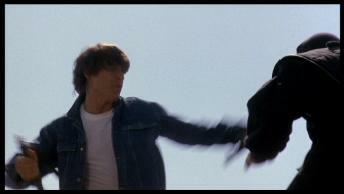 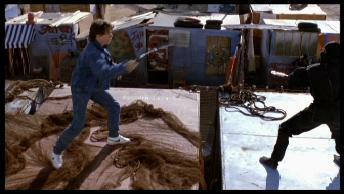 72:15 A ninja uses a throwing stone and hits Curtis' pistol, which he drops. 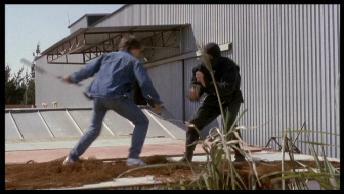 84:47 The MGM logo after the ending credits are only to be found on the DVD version, as well.